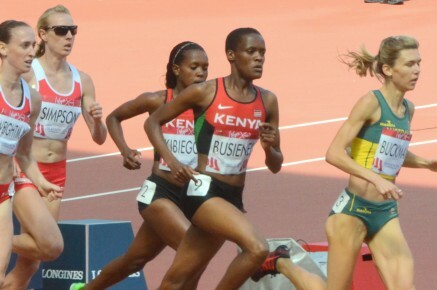 8th October 2015 – At the end of a long track season that first saw her race in Doha in May, Selah Busienei (KEN) was able to put in one last strong performance at the World Military Games in Korea. Having earlier in the week placed fifth in a strong 800m field Selah knew she had a chance in her preferred 1500m event and safely negotiated her heat. She left nothing to chance in the final as she decimated the field to take the title in a new personal best of 4:07.58 and victory by nearly 4 seconds.